Emily's Recipes and Reviews | UK Food Blog | Leicestershire : cloudy lemonade caipirinha. A refreshing, zesty cocktail featuring the new cloudy lemonade from The Cracker Drinks Co. The original caipirinha recipe hails from Brazil, and is made up of cachaça, sugar and lime on ice. If you can get hold of cachaça that's fab - but white rum is a good substitute here too. It's super simple to make and will be the perfect cocktail recipe when Summer comes along! Step one. Muddle together the brown sugar and lime juice. Step two. Add the rum and continue to stir until the sugar has completely dissolved. Step three. Pour in the cloudy lemonade and top with ice. Serve immediately! Have you ever made a twist on a classic cocktail? Or tried a caipirinha? 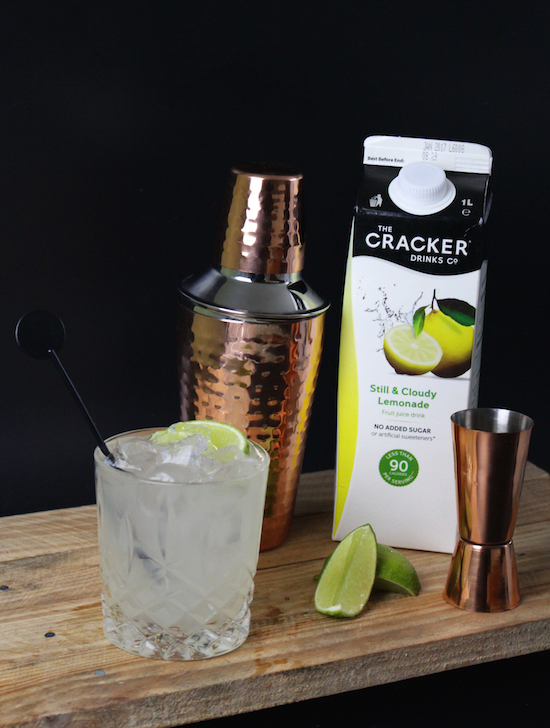 Post in collaboration with The Cracker Drinks Co.
Caipirinhas are my favourite cocktail, and I love this twist - the thought of that delicious tart lemon with the sweetness of the sugar is so tempting! Looks so refreshing! Perfect for when the weather warms up! a lot of the free TastyKeto recipes online were either garbage or didn't have a collection of easy-to-make meals that I liked. Has great customer service very nice and great information matcha sensation which gives best information about Matcha tea latte is a tasty, comforting, and nutritious drink that not only helps to relax you in the moment but can benefit your body in both the short and long-terms. Fat burners do this in various ways, but largely by boosting your metabolism. To illustrate, whole grain nutrients allow keep your metabolism high. And what's best is that the metabolism boost persists for hours after eating. the old thatched inn, adstock, buckinghamshire. crispy halloumi with mediterranean cous cous. the white horse inn, duns tew, oxfordshire. triple chocolate ice cream pie. brownie heaven chocolate scotch eggs + giveaway.